Jump to main category "Software"
Jump to main category "Operating Systems"
Jump to main category "Manufacturer"
Using Adobe Creative Suite 6 Master Collection as the ultimate solution for cross media design you can bring your ideas to life. Having the best graphic tools and with leading creativity, power and precision you can create print web and video content that leaves your audience speechless. Prepare and set up new web sites and applications based on open technology. Arrange new content for all platforms. Play high definition videos in native format. With smart features and high performance you can bring any of your complex vision into reality. Define diverse interactions. Tell thrilling video stories. Buy as a whole package and get all the creative tools from Adobe under particularly favorable conditions! 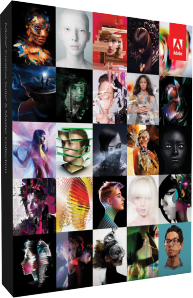 Create fascinating graphics for almost every platform with Adobe Illustrator CS6. You can work with professional tools for even greater drawings, coloring, effects and typography. With Adobe Dreamweaver CS6 you can create adaptive and HTML5 compatible web sites and applications for smart phones, tablets and desktop computers. Quickly prepare CSS3 layouts. Check your content on multiple devices and a lot more. Precise control over your typography, implemented creative tools and an intuitional work flow result in high quality layouts. Adobe InDesign CS6 provides reliable results. Produce impressive video material thanks to flexible options for non-linear cuts. Edit raw footage in almost any native format. Adobe Premiere Pro CS6 supports content you recorded with your phone camera as well as importing clips with 5K resolution. With Adobe After Effects CS6 you can work on professional special effects. Create innovative ideas with photo-realistic results of the 3D camera tracker, fast rotoscoping, improved scrim diffuser and a lot more. Publish documents directly from InDesign for tablets with Adobe Digital Publishing Suite. The new Single edition supports the supply of individual apps for the iPad. With InDesign you can create fascinating eBooks having gallant and charming typography and images which automatically adapt to the available screen resolution. Implement HTML5-based video and audio clips. Take advantage in the extensive support for the EPUB3 format. Adobe Acrobat X Pro will be an efficient tool for preparing high quality documents. Layouts, drafts, images, animated as well as video and audio content can conveniently be united to work as an impressive PDF showcase. With the help of Adobe Flash Professional CS6 – the leading solution for interactive authoring – you can provide diversified experience for different runtime environments and therefore solid presentations on almost any platform and device. With Adobe Audition CS6 you can record, edit, mix, master and optimize audio files. Easily export those files to Adobe Premiere Pro CS6 for further editing. Adobe Audition also supports OMF and XML files for a faster exchange of data used in Avid Pro Tools and other audio and video processing software. Adobe Fireworks CS6 lets you create high quality vector graphics and bitmaps for web sites, mobile devices, tablets and interactive screens. On top of that, you can create whole web sites. With Adobe Flash Builder Premium 4.6 you can quickly provide apps on a web base, for desktop use and mobile devices. Use a Flex or ActionScript based source code for Android, Blackberry and iOs. Photoshop Extended, Illustrator, Premiere Pro, After Effects and other components use the full power of the modern 64-bit systems. The native 64-bit compatibility under Mac OS and Windows provides optimized performance and RAM-usage for getting maximum precision, speed and stability. The 64-bit supportive engine brings remarkably higher performance on desktop systems and notebooks with optional GPU boost. Premiere Pro CS6 also supports OpenCL based GPU of the MacBook Pro series as well as the NVIDIA Maximus Workstations with double GPU. The new technology works background-wise and uses the full potential of 64-bit systems. Switching between After Effects, Premiere Pro, Audition, SpeedGrade and Encore no longer needs the in-between rendering with the Dynamic Link feature. 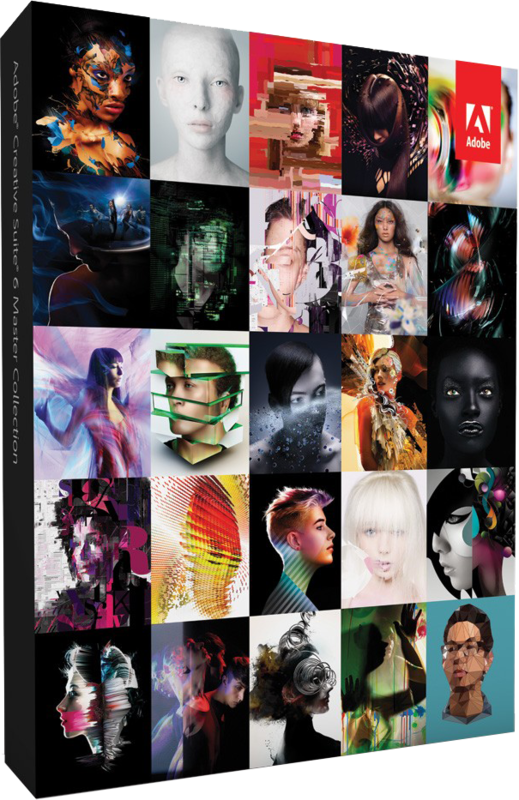 Use the full advantage of direct integration with the Adobe Digital Publishing Suite***, Adobe Creative Cloud**** and Adobe Touch Apps*****. *3D as well as GPU based features are not compatible with Windows XP. **Access to specific services in Digital Publisher Suite need a Digital Publisher Suite account. ***InDesign creates eBooks with audio, video and other advanced features based on EPUB3 and HTML5. EPUB3, HTML5, Multimedia and Double-Byte languages such as Chinese, Japanese and Korean are not compatible with all devices and browsers.